Short and sweet, but oh so true! If I had to put emotion into shorthand, it would come out in the form of music. Renowned Russian writer Leo Tolstoy nails it right on the head! 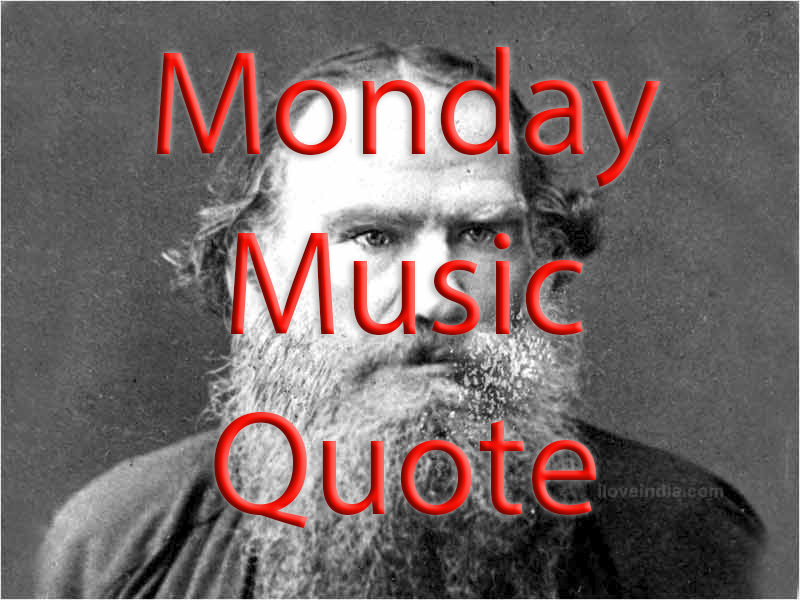 This entry was posted in Monday Music Quotes and tagged Leo Tolstoy, Monday, Monday Music Quote, Music, Quote, Tolstoy.